Home / SkinCare / ERiiS For Sun with UVA,UVB and Infrared Filters SPF50. ERiiS For Sun with UVA,UVB and Infrared Filters SPF50. ERiiS For Sun TRIPLE Protection Sun filter with Infrared Protection. Protects you against UVA, UVB and Infrared Filters SPF50. An innovation in suncare that offers TRIPLE protection against the Suns most harmful rays, UVA, UVB and Infrared. 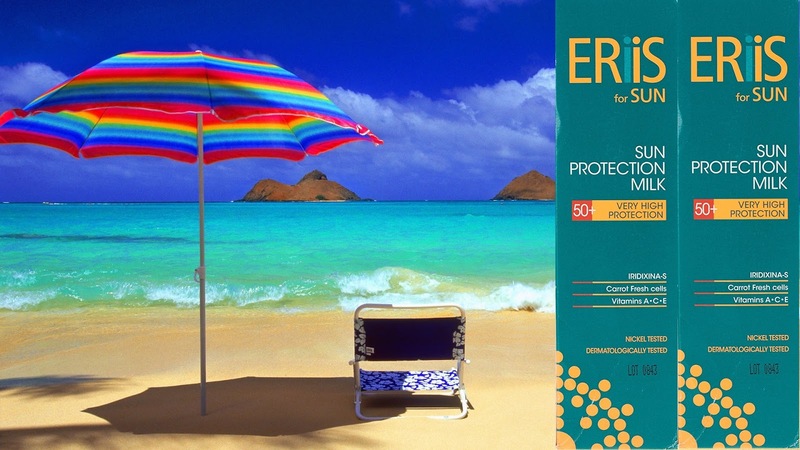 Where conventional sun filters only provide double protection against UVA and UVB rays, ERiiS for Sun TRIPLE protects to ensure the very best protection whilst tanning. It's unique anti-oxidant complex fights free radicals whilst tanning to help prevent ageing to the skin during sun exposure. ERiiS For Sun is a unique sun protection filter that TRIPLE protects your skin, whilst still allowing you to achieve a golden tan. Infrared rays penetrate deeper into the skin's delicate layers and down to the subcutaneous layer, causing irreversible damage to the skin's delicate tissue. 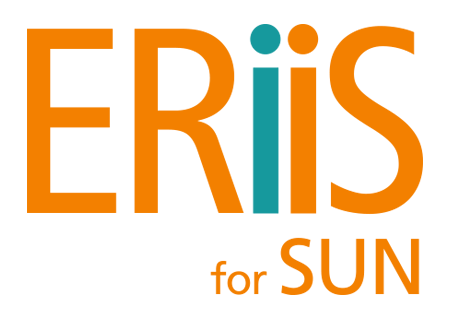 Traditional sun filters do not protect you against Infrared rays but ERiiS for Sun has been specially formulated to provide protection against Infrared rays as well as UVA and UVB. So you are TRIPLE protected. ERiiS for Sun also contains a unique anti-oxidant complex that fights free radical activity whilst tanning, to help fight the ageing effect of the Sun's rays. Oil Free, Not Greasy, Quick Absorbent and doesn't stain..
ERiiS For Sun Complete Range. 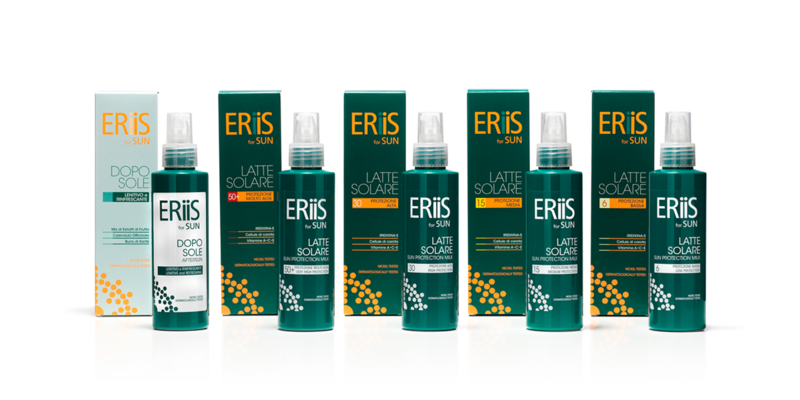 ERiiS For Sun complete range of sun protection milks that combines a new and innovative filtering system with the energy of fresh fruit extracts. Triple action UVA, UVB, and Infrared-A protection, in a real juice formula, to refresh the skin before, during and after sun exposure. Benefits of Active Ingredients: IRIDIXINA-S An innovative complex of sun protection filters that ensures TRIPLE Protection from UVA, UVB and Infrared-A rays. It actively targets free radicals generated by exposure to the sun and helps prevent damage to skin cells. It prevents the formation of "Solar Scars" into the dermis and protects against premature skin ageing which results in the appearance of skin ageing which results in the appearance of wrinkles, age-spots and loss of skin elasticity. Carrot Fresh Cells Extract, A real live microencapsulated cellular extract from the carrot root, It is a natural source of beta-carothen, useful in repairing skin tissue. It deeply hydrates the skin whilst ensuring an intense even tan. Vitamin A, C, E Vitamin complex with high refreshing and antioxidant efficacy for the skin. It helps to protect and regenerate skin stressed by sun exposure by limiting the risk of erythema and abnormal pigmentation. Infrared rays make up 50% of the suns spectrum, whereas UVA and UVB represent only 10-15%. Infrared rays can also penetrate far deeper into the skins delicate layers, reaching below the dermis and into the subcutaneous layer, where it can cause irreversible damage to delicate skin tissue. This damage can result in premature ageing of the skin, loss of elasticity and even increase the risk of skin cancer. It is vital that you triple protect your skin so you are protected against the impact of infrared rays during tanning as traditional sun filters offering protection against UVA and UVB rays only may not be enough. Wearing a sunscreen can be so easy to include into your skincare routine, by following a few easy rules. Applying a sunscreen to your face should be the last step in your beauty products application and follows after your moisturiser to seal and protect your skin. Some sunscreens can make your moisturiser ball up and flake off, so its important you wait till your face has absorbed your moisturiser before proceeding with your sunscreen. 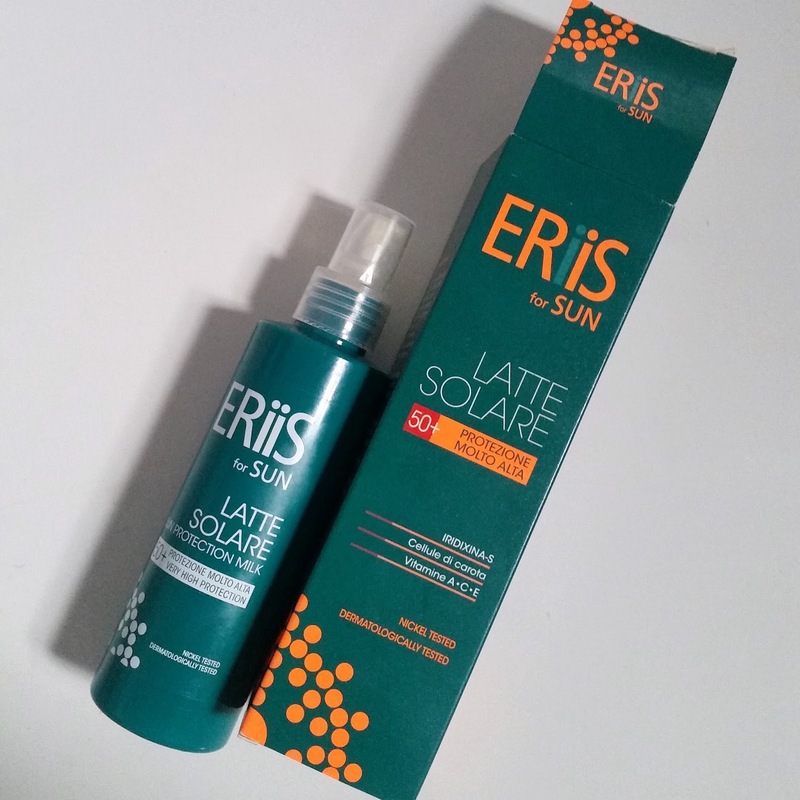 What i love about ERiiS For Sun is that it works really well with any product applied previously and i have not experienced any disadvantages by using it. Sunscreens can tend to be greasy which can turn your face into a glowing beacon and lead to breakouts if you suffer with oily or combination skin. You can also experience a white or grey cast leading to a skin tone that you do not recognise as your own! ERiiS For Sun is in a pump dispenser bottle that is great to control how much product you actually need to use. The sun protection milk glides over skin with ease thanks to its its light texture and is absorbed into your skin within a few massaging strokes using your fingertips. Not only does this SPF50 sun protection milk protect you from all the suns rays, it also helps to restore your skin and help prevent skin ageing, A must have sun protection for everyone's skin! X Neil.